Dr. Matthew E. Bunson is active in the area of Catholic Social Communications, including writing, editing, and lecturing on a variety of topics related to Church history, the papacy, and Catholic culture. Senior Correspondent for Our Sunday Visitor and a senior fellow of the St. Paul Center for Biblical Theology, he is the author or coauthor of over 45 books, including The Pope Encyclopedia, The Encyclopedia of Catholic History, and The Encyclopedia of Saints. 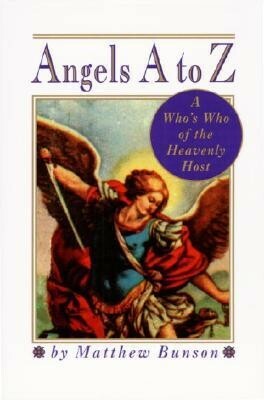 I'm the author/artist and I want to review Angels A to Z: A Who's Who of the Heavenly Host.